Dr. Lee has been helping people live healthier lives for over 8 years. In 2002, Dr. Lee graduated from the prestigious Life Chiropractic College West in the San Francisco Bay area. After graduation, he moved back to Canada and started his own practice in the east end of Oakville. He then partnered with Dr. Dawtrey and Dr. Olujic in November of 2007 to open up the new Oakville Rehab Centre. Dr. Lee is very passionate about his work and his purpose. This is evident to all that know him. Dr. Dawtrey graduated from Parker Chiropractic College in Texas in 2000. Since then, Dr. Dawtrey has been helping his patients get healthier for over 11 years. Dr. Dawtrey took over Oakville Rehab Centre in 2001 and has since opened two more clinics in Waterloo (2005) and Hamilton (2009). In November of 2007, Dr. Dawtrey partnered with Dr. Lee and Dr. Olujic to move the new Oakville Rehab Centre to its present location. Dr. Dawtrey has a passion for golf and spends most of his time with his wife and 3 children. 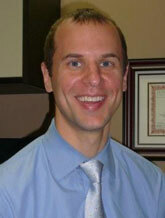 Dr. Olujic is a graduate of the National College of Chiropractic in Chicago, Illinois (2003), and McMaster University’s Medical Acupuncture Program (2004). He has since completed post-graduate training in gait biomechanics, strength and conditioning, and Active Release Therapy and has held the designations of CSCS and ART, respectively. Dr. Dave – as referred to by his patients – spent 2004 honing his chiropractic skills at a busy office in Newark, New Jersey before returning to Canada to establish his long-term practice. Dr. Dave lives in Oakville with his wife and 2 daughters and is an active member of the community. In his spare time, he enjoys running, golfing and reading. He is committed to bringing innovative healthcare to his patients and community. Stacey is a kind, passionate, and professional individual who respects and treats each patient with personalized care and attention. Her goal is to provide emotional and physical support through treatment therapies that provide lasting results by creating balance and harmony within the body. These treatments include acupuncture, Chinese herbal medicine, cupping therapy, guasha, Tui Na massage, and nutrition counselling. Stacey started building an extensive science background at the University of Waterloo, where she received her Bachelor of Science degree and biology minor. She graduated from the Toronto School of Traditional Chinese Medicine (TSTCM), where she successfully completed the five-year advanced TCM diploma (4220 hours) with honours. 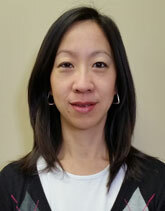 She is a registered member in good standing with the College of Traditional Chinese Medicine Practitioners and Acupuncturists of Ontario (CTCMPAO) as a Traditional Chinese Medicine Practitioner (TCMP). In addition, she completed her Natural Nutrition program at the largest holistic nutrition school in Canada, where she has a professional designation as a Registered Holistic Nutritionist. Her passion for nutrition has led her to be hired as a faculty member at Eight Branches, educating students on integrated nutrition and TCM courses. Her experience in palliative care and bereavement support through the Dorothy Ley Hospice, Oakville Trafalgar Memorial Hospital and West Oak Village Long term care home has provided her with great compassion and empathy in her practice. Stacey has also attended and completed Dr. Martha Luca’s Mei Zen cosmetic acupuncture system to treat facial/neck rejuvenation, weight management, and digestive and thyroid health. Through her extensive knowledge in holistic medicine, she has successfully treated digestive disorders, skin conditions, body aches and pains such as; migraine headaches, neck and shoulder pain, back and knee pain, gynecological and emotional disorders, allergies, commons colds, fatigue, stress, neurological conditions, and many more. Stacey finds fulfillment in providing successful results for her patients. 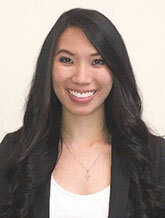 Ideally, she aims to help as many individuals as possible with great quality care, allowing her patients to live a happy and healthy lifestyle. Book your appointment today and experience the power of Traditional Chinese Medicine! 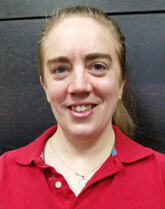 Karen joined the Oakville Rehab team in 2005 where she enjoys the challenges of a diverse orthopedic clientele. Prior to moving to the Halton region, her varied clinical experiences have included being part of a multi-disciplinary team for geriatric assessment and stroke rehabilitation units at St. Joseph’s Healthcare in Hamilton. She also worked for several years at a private physiotherapy clinic in Vermont, USA, where her focus was in women’s health. 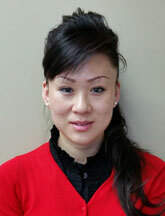 Karen holds a Bachelor of Health Science degree in physiotherapy from McMaster University. 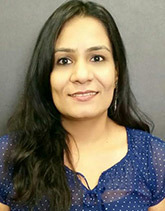 After obtaining her Bachelor’s degree in Physiotherapy (2006) from India, Neha became part of the physiotherapy team at Bombay Hospital, working closely with post-op orthopaedic, cranial surgical and neurological conditions. Her work diversified between working in both hospital and clinic settings. Also critical to her learning, Neha undertook the Mulligan Concept Workshop for the upper & lower quadrants, engaging in specific mobilization techniques (SNAGS, NAGS). After 7 wonderful years of patient experience, Neha moved to Canada in 2013, becoming an active physiotherapist assistant at our clinic. After earning her residency, Neha is now a resident physiotherapist. Shujing Luan (Coco) is a graduate from Trillium College (was Canadian Therapeutic College) in Burlington (2011) and is an active member of the *College of Massage Therapists of Ontario, *and the Registered Massage Therapists’ Association of Ontario. Coco has worked with people of all ages and caters her treatment techniques to needs of each individual. Coco is trained in Swedish Massage, Myofascial Trigger points, Fascial techniques, and many other techniques to help her clients cope with aches and pains. She continues to take courses in various categories to help better her practice as well as her clients. Upon graduating from Sir Sandford Fleming College in Peterborough, Anne became a Registered Massage Therapist in July of 2001. After working in Leamington, Ontario for several years, Anne moved to Oakville and started working at the Oakville Rehab Centre in July of 2005. Anne is specialized in treating clients who have been in motor vehicle accidents and worker’s compensation cases. She is also highly trained in massaging pregnant clients or anyone who wants a total body relaxation massage, Thai Yoga Massage, and Hot Stone Massage. 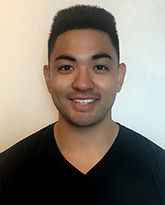 Bryan Yamashiro graduated from Kikkawa College for Massage Therapy in 2015. 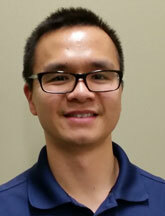 He is currently an active member of the CMTO (College of Massage therapists of Ontario) and RMTAO (Registered Massage Therapist Association of Ontario) and has been working as a full-time RMT ever since. 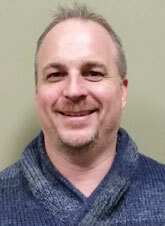 Bryan has experience working in both a spa and clinical setting. He tries his best to treat his client’s physical issues as well as give them a relaxing and great experience. He enjoys working with people of all ages, and attending to those with acute and chronic pain, muscle aches, headaches, MVA, strains, sprains, stress, and sport injuries. He specializes in General Swedish Massage, Deep Tissue Massage, Active & Passive Release, Fascial, Trigger Point Release, Sports Massage, and Relaxation Massage. By using a combination of these techniques, it is his objective to give his clients the therapeutic treatment that their body needs in order to bring them back to optimal health and full recovery. We’d love to meet you and answer your questions. Give Oakville Rehab Centre a call today!